Monster Jam is roaring into London for three big shows. 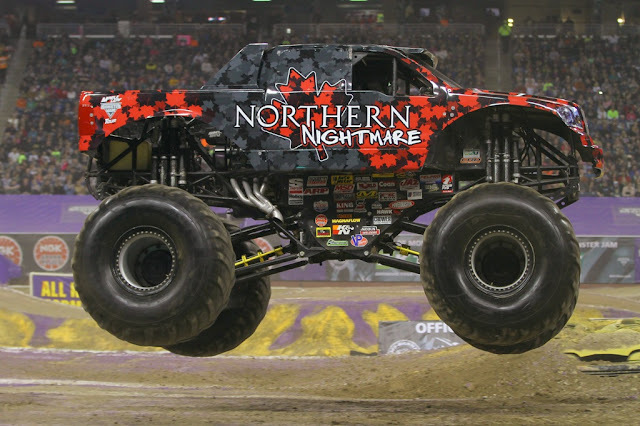 Featuring eight Monster Jam trucks - more than ever before at Budweiser Gardens, including superstars Monster Mutt, Zombie and Northern Nightmare. One weekend only – February 27th and 28th. We have enjoyed Monster Jam as a family a few times now and we can not wait to go again this year. Monster Jam is the most exciting family motorsports entertainment on the planet. Twelve feet tall, 10,000 pound Monster Jam trucks will bring you to your feet, as they race and rip up a custom track full of obstacles to soar over or smash through. Each high-powered performance includes Monster Jam truck racing and freestyle competitions. The family friendly shows also feature other motorsport mayhem such as Quad Wars and freestyle motocross. At the Party in the Pits, fans have unparalleled access to collect autographs from the superstar drivers and take photos with the 1,500 horsepower Monster Jam trucks. I am giving away a 4 all age tickets to one of my lucky readers who can be at the London Ontario Show at Budweiser Gardens on Saturday, February 27 at 12:30pm. The tickets will be at the box office for you the day of the event. If you do not want to wait to see if you win and get your tickets now I have a special code for you to save. Pizza Pizza kids tickets are $15! *Restrictions and fees may apply. 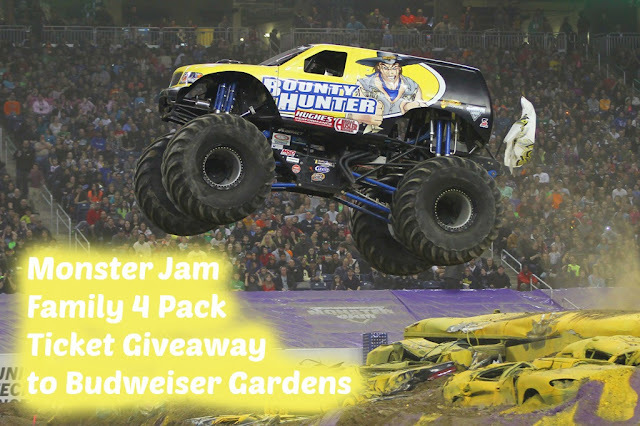 to Monster Jam on February 27th at 12:30pm! Disclosure: I am a Feld Family Activator and as such have received perks. My opinion is my own and it is truthful.